Come for an opportunity to write to our senators and representatives about any issue that you are concerned or passionate about. Paper, pens, and stamps and addresses will be provided, as well as tips and templates for writing. 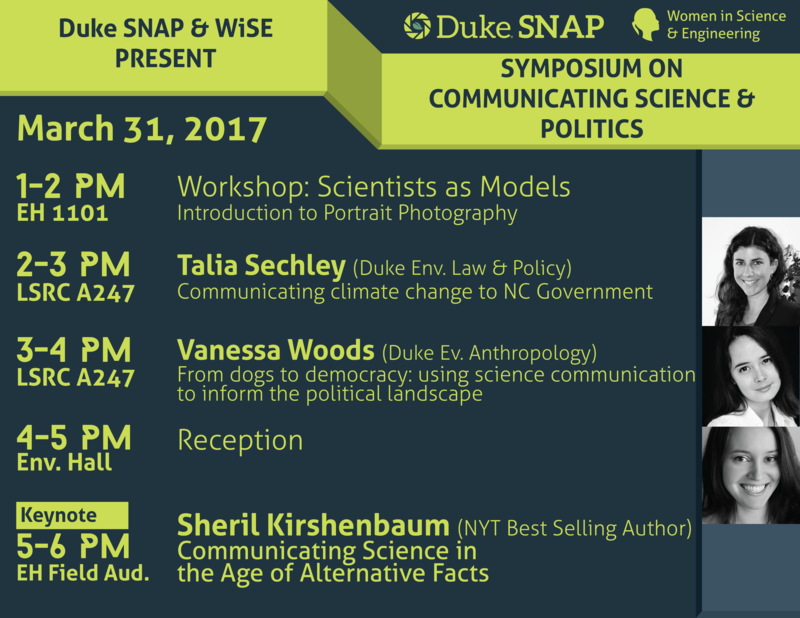 The Duke Stories for Natural and People (SNAP) annual Spring Symposium, co-hosted with WiSE, will feature Sheril Kirshenbaum, co-author of the NYTimes best seller ‘Unscientific America: How Scientific Illiteracy Threatens our Future’, as the keynote speaker this year. In theme with Sheril’s book, we will be hosting several other speakers from Duke University to engage in a public discussion on the role of science communication and politics in the present-day scientific and public communities. For more information, contact Wout Salenbien (wps5@duke.edu). Have you ever needed an ally in the workplace or felt unsure about how to be an ally to your colleagues? Join Women in Science and Engineering for a conversation about being effective and successful allies in your graduate school workplace. 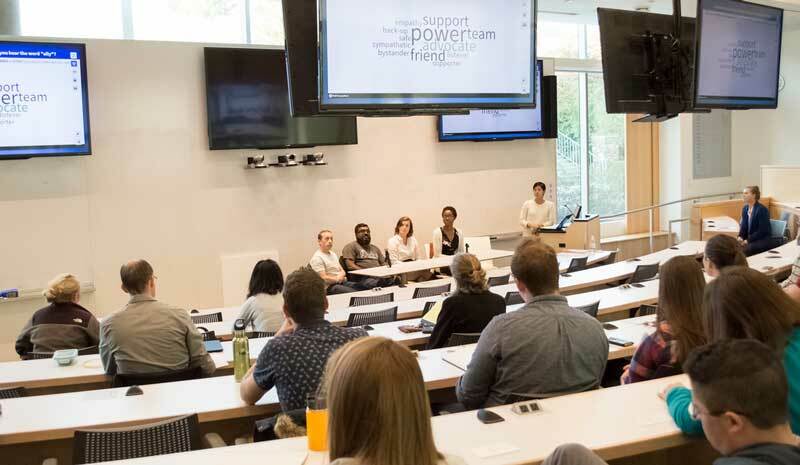 The event will include a panel with five graduate students, followed by smaller group discussions led by Dr. Francisco Ramos about workplace bias. See The Graduate School’s article on our event! Photo courtesy of John Zhu. Women in Science and Engineering at Duke (WiSE) is powered by WordPress at Duke WordPress Sites. Please read the Duke Wordpress Policies. Contact the Duke WordPress team.